What to do when the Web GUI of Multy Plus (WSQ60) is not accessible? 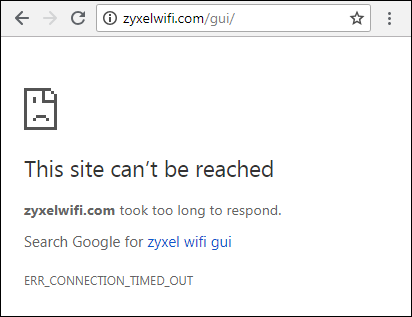 In general, you can log in the Web GUI of Multy Plus (WSQ60) by typing the site address, zyxelwifi.com or zyxelwifi.net, in a browser to manage Multy Plus (WSQ60). If the Web GUI of Multy Plus (WSQ60) is not accessible, please troubleshoot the problem with the following steps. Step 1: Check the LED behavior. The device is not paired and the LED is Blue Blinking. The device has booted up after it has been paired and the LED is White Solid. 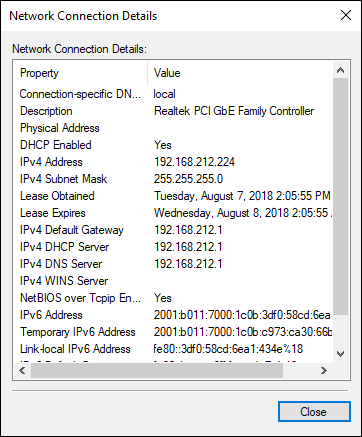 Step 2: Connect a client to Multy Plus (WSQ60) to check Network Connection status. Connect a client to Multy Plus (WSQ60) via an Ethernet cable or WiFi. (Please confirm that the client is configured to obtain an IP address automatically instead of using a static IP before connecting). Check if the client can be assigned with a correct IP address and a correct DNS server after the connection is established. If the clinet can't get a correct IP adress, please try to use another client and try it again. Step 3: Access the Web GUI of Multy Plus (WSQ60) via a web browser with IP address. The default IP address before installation is 192.168.212.5. In standard mode, the default IP address is 192.168.212.1. In bridge mode, the IP address of Multy Plus (WSQ60) is assigned from the modem/router. Please find it in the client list of the modem/router.